Known as the "Bicycle Capital of the Northwest" and as the headquarters of several high-tech firms including Microsoft and Nintendo, Redmond is recognized for its excellent quality of life. A short 20 minutes east of Seattle, the city has a dynamic and diverse downtown core and has maintained its green Northwest character while enjoying vibrant growth. Along with cultivating a vigorous economy and cultural life, the city prides itself on an extensive park system with a wide-ranging network of trails. 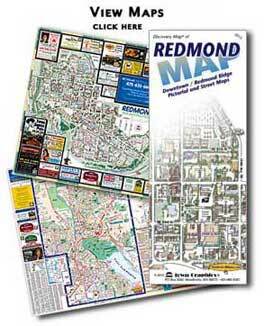 Don’t leave Redmond without seeing Marymoor Park, walking the Sammamish trail, and visiting the municipal campus filled with sculptures.